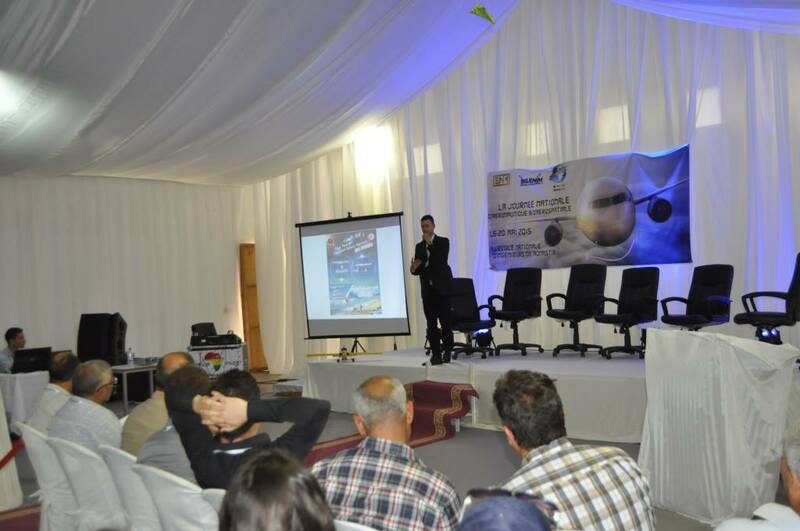 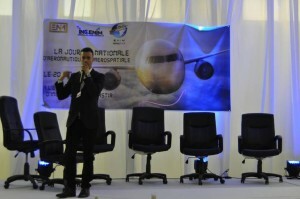 The National Day of Aeronautics & Aerospace is an event organised by ENIM Aerospace club, Tunisian Space Agency was invited and participated always in the purpose of raising awareness about space knowledge and outer space sciences. 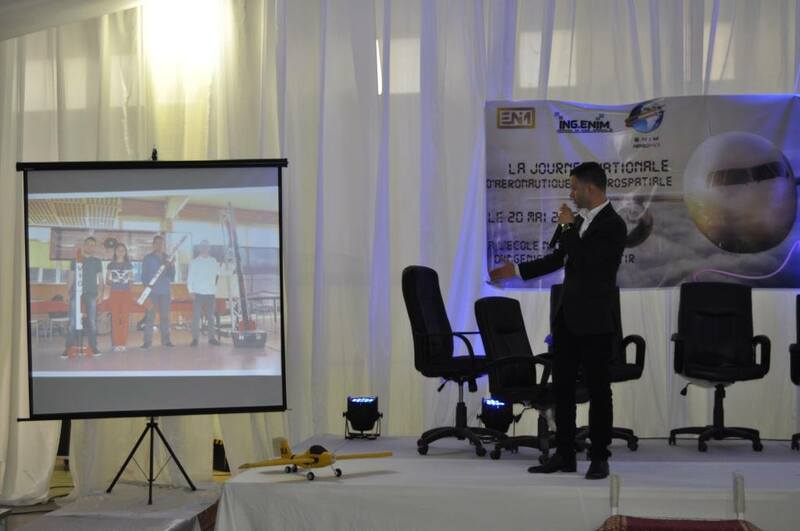 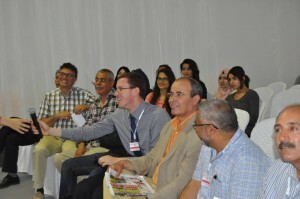 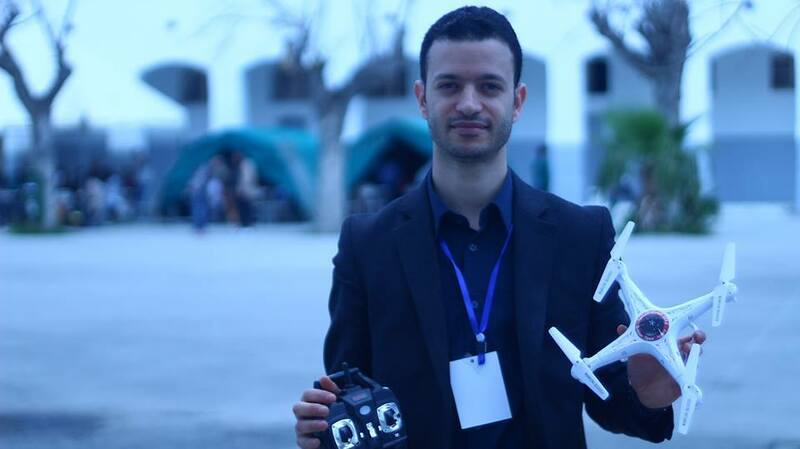 The second edition of this event took place on Mai, 20th 2015 at the national engineering school of Monastir . 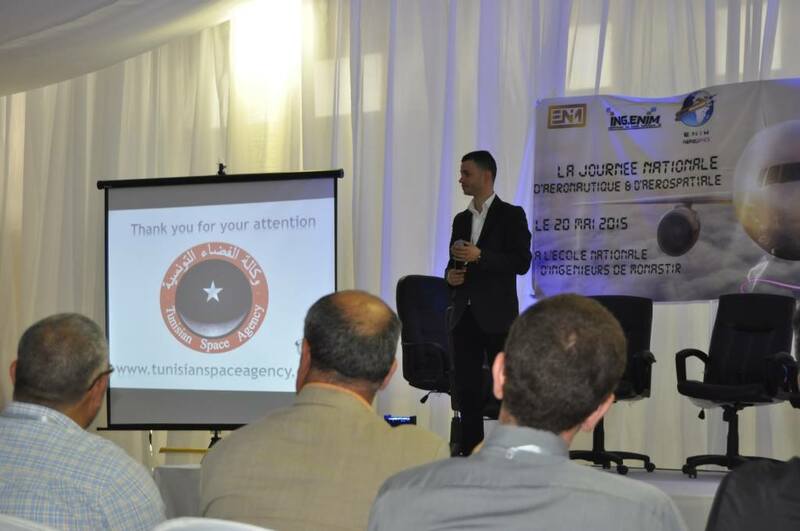 The president of the TSA Kerim Hmaied presented the agency and her activities and objectives. 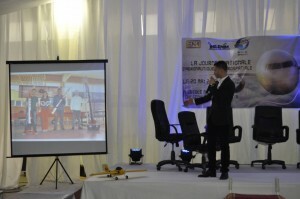 He talked about all the projects that were supervised by the TSA and especially the mini rockets and the experimental rockets that were launched successfully and entered the history of the Tunisian experience in space projects. The attendants were very interested in the activities and the projects of the agency. 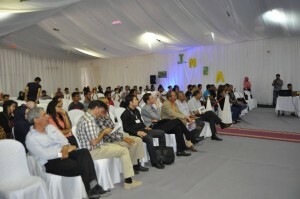 They have shown a support of the initiative.